Trusted by more than 5,000 schools, our signing-in system gives quick and accurate visitor, staff and student sign-in information. Designed specifically for education, our audit and compliance solutions are a simple, cost effective way to manage your school’s infrastructure. Safe and secure digital registration for classrooms, breakfast and after school clubs on any device with ClassMark and ClubReg. Our focus on people, partnership and collaboration is what powers our success. We work with our customers to make sure InVentry’s technology continues to meet their evolving needs. The number one solution for safeguarding students and your school. 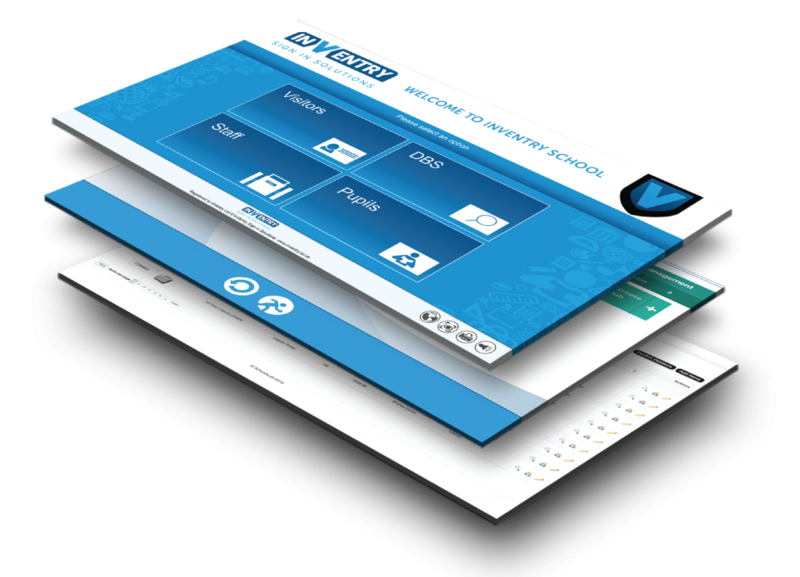 The quickest and most efficient way to manage large volumes of visitors, staff and students. The easy way for instant visibility of students last known location for AM/PM marks. The simplest way to manage sign in and reporting for multi-site organisations. 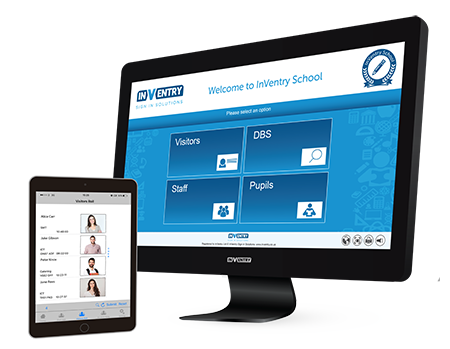 Our software comes with a dedicated pupil module that allows schools to track specific pupil sign in and out events. It allows schools to record late marks for pupils, with a reason, and provides a printed passes for class, all of which can be written back into your MIS. It also provides a more safe and secure sign out process for pupils leaving school early. 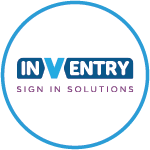 Utilising the InVentry system you can track signing in and out for staff. 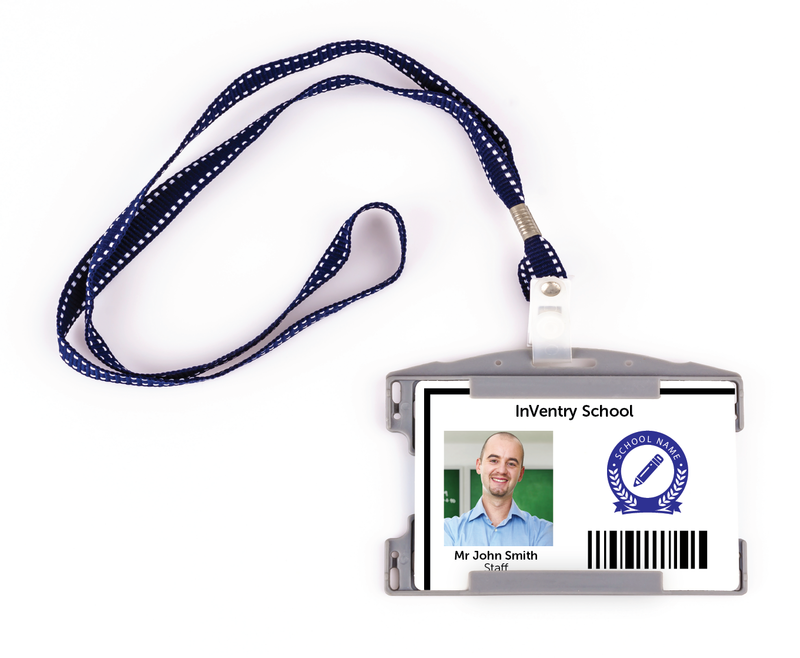 Simply swiping an ID card either on InVentry sign in system or Quickscan units will record accurate sign-in and information so you always know who is onsite. Staff can also use the proximity based app to for signing in and out on the go from any mobile device. Get rid of flawed paper-based management systems with our state of the art visitor management system. Every 19inch touchscreen comes with an integrated webcam and ID badge printer for instant identification. 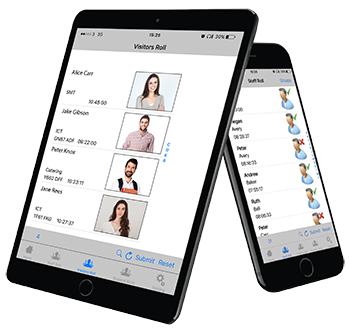 Our marketing leading software comes with facial recognition, visitor memory, an inbuilt DBS checker and a visitor notification system. The InVentry evacuation app allows you to access a real time copy of everyone who is onsite from any mobile device at multiple muster points. Want to see InVentry in your school?